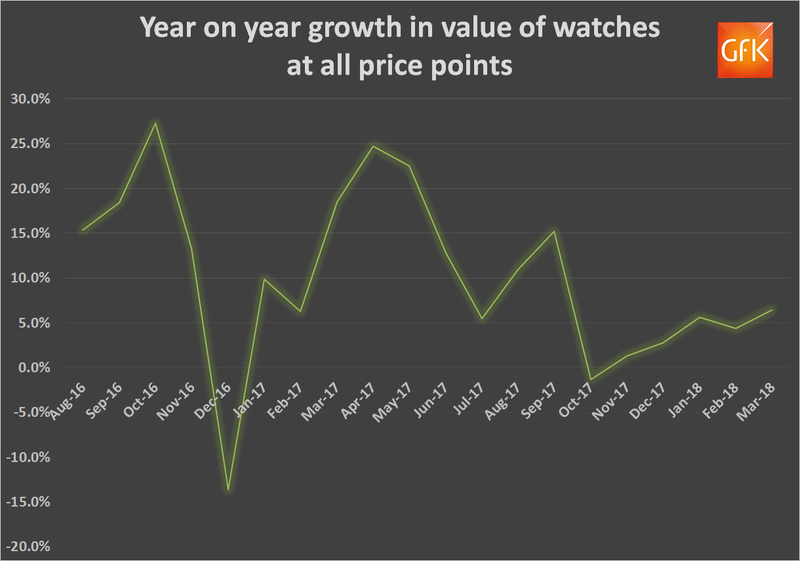 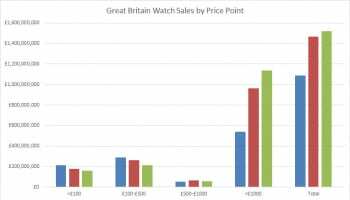 Data for March suggests that retailers in the UK took a cautious approach to holding sizeable inventories of Swiss watches ahead of this year’s main buying season. 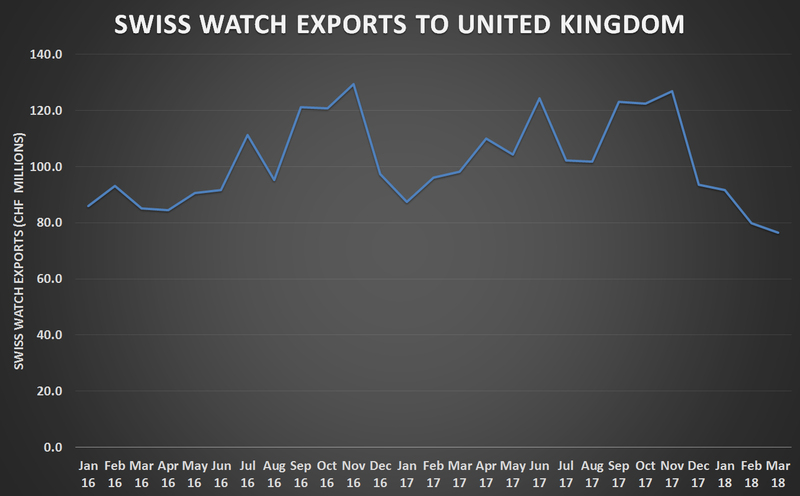 The Federation of Swiss Watch Industry recorded a 22.3% fall in exports of watches to the UK in March, compared to the same month in 2017. 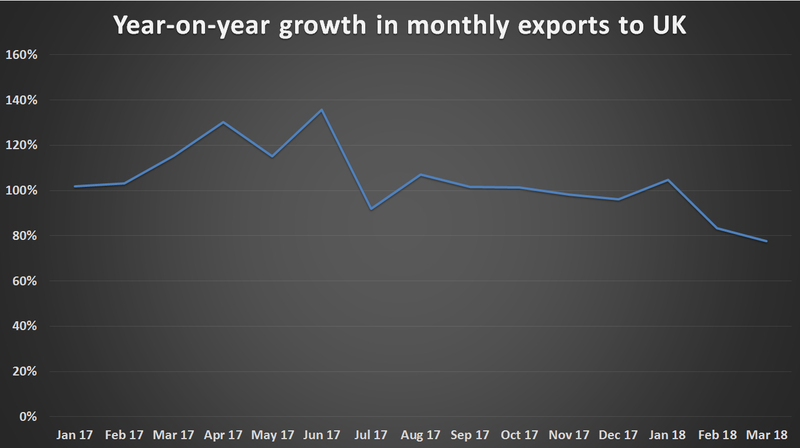 It is the second month in a row of falling exports to the UK, suggesting falling confidence within the channel ahead of the peak buying. 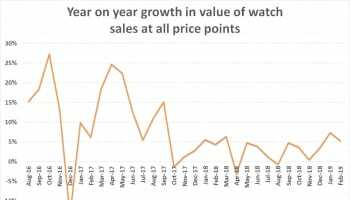 The news from retail analyst GfK is more encouraging, with sales rising by over 6% in March. 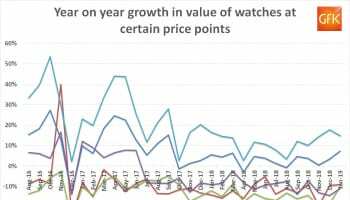 The top end of the market continued to outperform the value segment with sales values up by 13.9% for watches priced at over £1000 while they fell by 12% for watches priced at under £100 and by 8.8% in the £100 to £500 price segment. 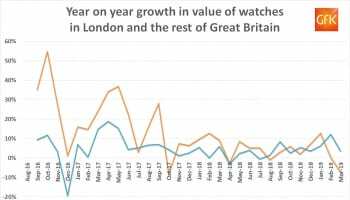 The value of the pound is heading back towards more normal territory against the dollar, although remains weak against the euro, which will give the UK a price advantage over other European countries when it comes to tourist spending. 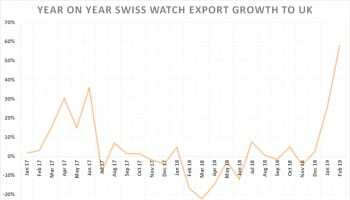 The news out of Switzerland will be encouraging for the country’s watchmakers with most world markets registering rising imports. 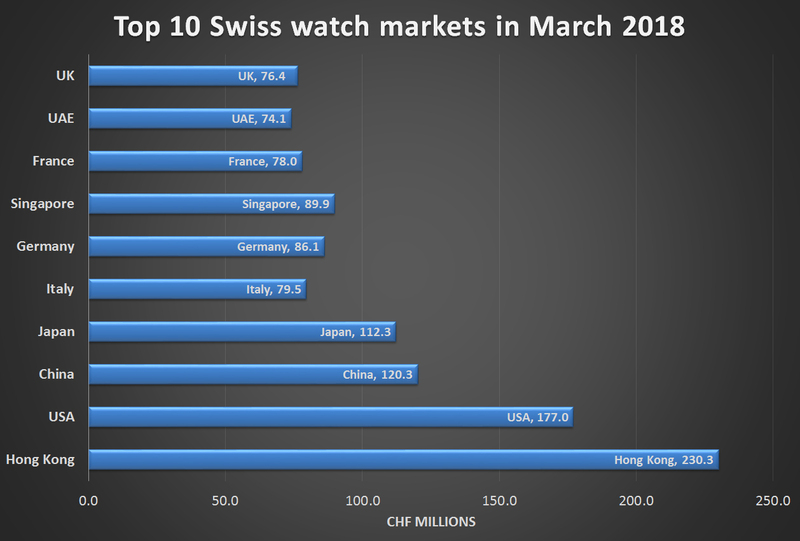 (+12.6%) and South Korea (+33.5%) continued to improve to varying degrees.